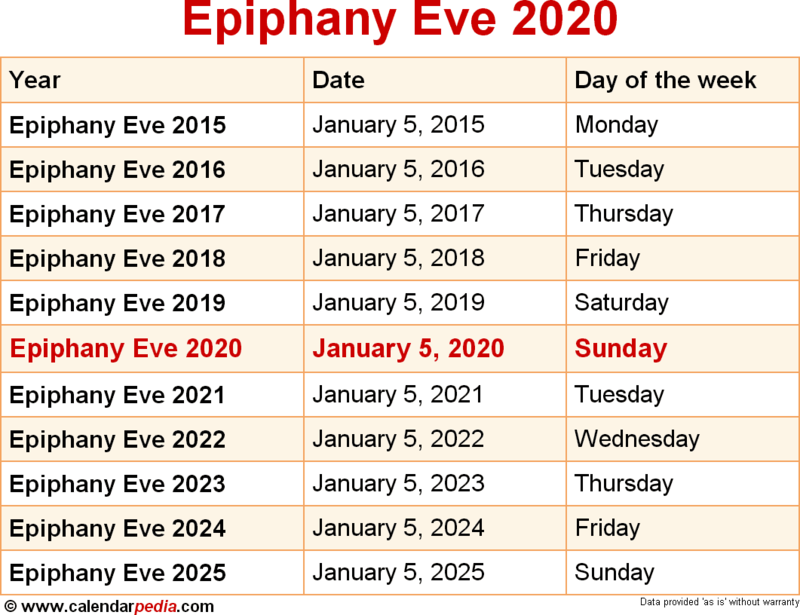 When is Epiphany Eve 2020? Epiphany Eve is celebrated annually on January 5. It is the last day of the Twelve Days of Christmas (also called Christmastide) and is also known as Twelfth Night. It is followed by Epiphany on January 6. 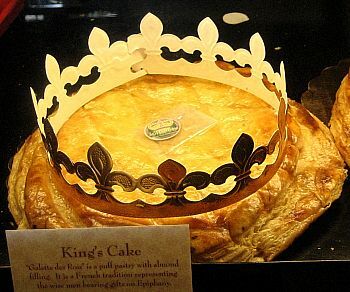 In many countries so-called "king cakes", named after the three biblical kings, are baked on Epiphany Eve in preparation for the Epiphany festival the next day and the beginning of the Epiphany season. It is also customary for Christians in many countries to remove their Christmas decorations on Epiphany Eve. 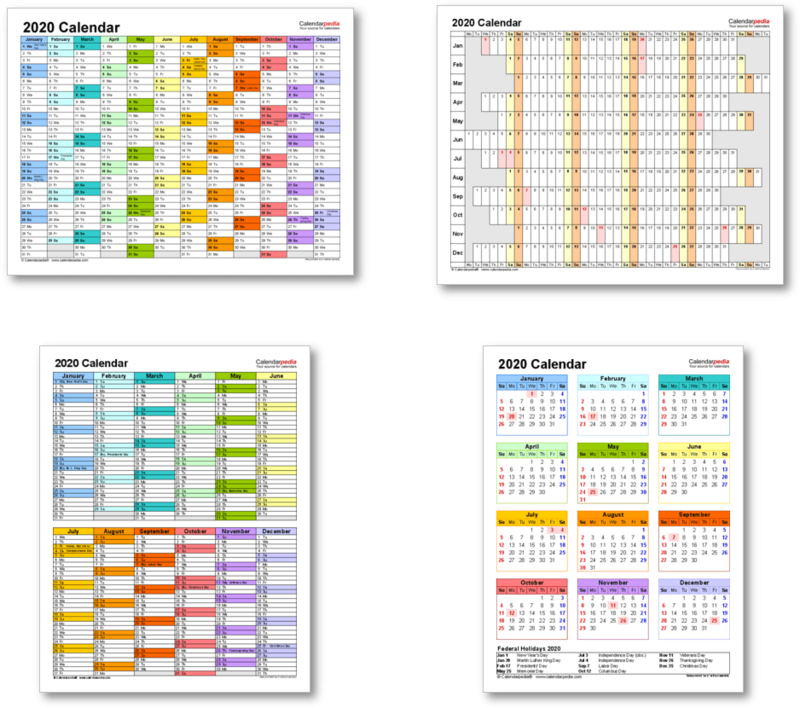 When is Epiphany Eve 2021? The next occurrence of Epiphany Eve is marked in red.